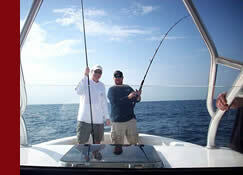 Our Mission is to offer the finest custom fishing and cruising boats available today. Too many production boat builders do not give you options. We, as a “Niche Builder”, can create and design your ideal custom boat powered how you like it with all the accessories and electronics to suit your needs. 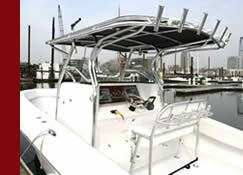 All Typhoon Boats are custom built to order! Sophisticated manufacturing techniques ensure the integrity of the hull, even at high speeds, while minimizing the maintenance and care of the vessel. Each hull is meticulously constructed, with all structural components composed of 100% vinyl ester resin. Absolutely NO WOOD! Typhoons are truly high speed, blue-water, open ocean boats. Designed on proven hulls, with safety, sea keeping capability and comfort our primary objectives. Powered by either gas outboards or our twin 315 Yanmar diesel system with out drives, the low drag hull provides unmatched efficiency and range. Typhoon’s meticulous attention to detail and craftsmanship is why our customers agree that the 33 CC is genuinely the most fishable center console afloat. 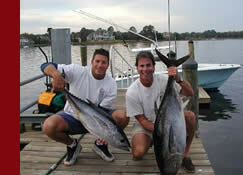 Fishermen love its speed, performance, range and innovative design. There is enough space to pass the console amidships completely uninhibited.